What do the best bars and rock shops have in common? They all have a gravel parking lot. Whenever you hear gravel underneath your wheels in the desert, you know you’re going to have a great time. Don’t fear for your vehicle though, as you only have to go fifty feet off pavement. And that distance will take you very, very far into a wonderful rock, mineral, and jewelry world. Wendi “Ace” Elkins, singlehandedly owns and runs Minerals Unlimited in Ridgecrest, California. 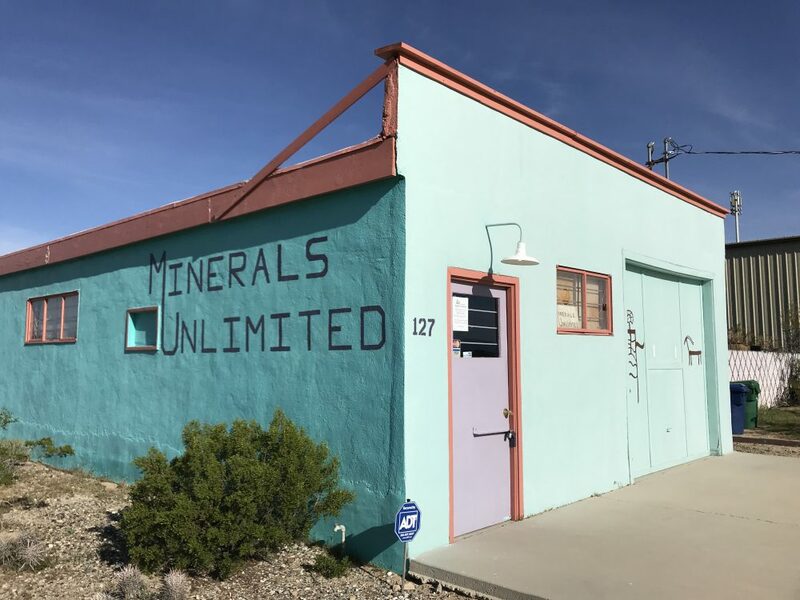 It sits next to a Salvation Army thrift shop and is one the finest rock and mineral stores in the Southwest. Its been operating for seventy years, always family owned. 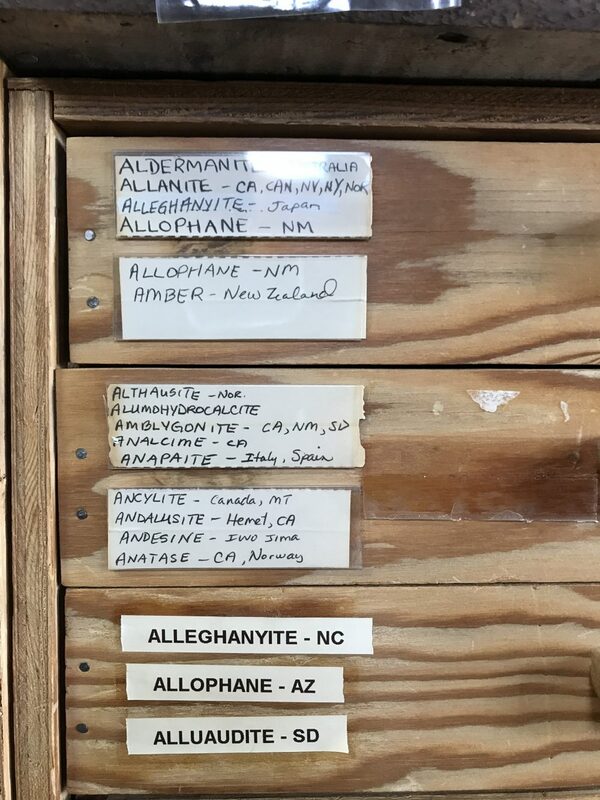 Minerals are neatly arranged in alphabetical order in dozens and dozens of wooden drawers, all of them inviting you to tour our rocky planet without leaving Ridgecrest. A tremendous rock yard exists outside, with rough of all kinds and descriptions. 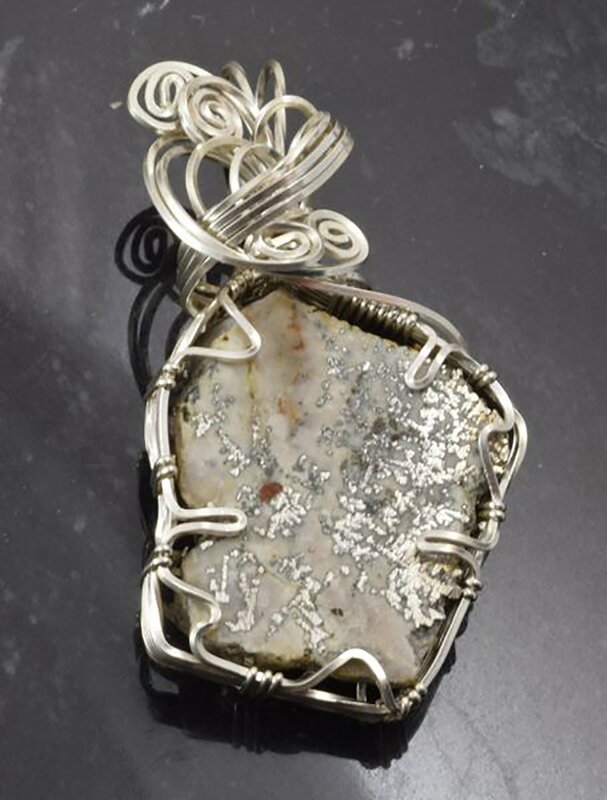 Wendi and I commiserated over static photographs being unable to convey the sparkle of jewelry and of rocks in general. You have to see in your hands the play of light from her designs to see how special they are. Another reason to go in person. You never know what you’re going to find at this store. 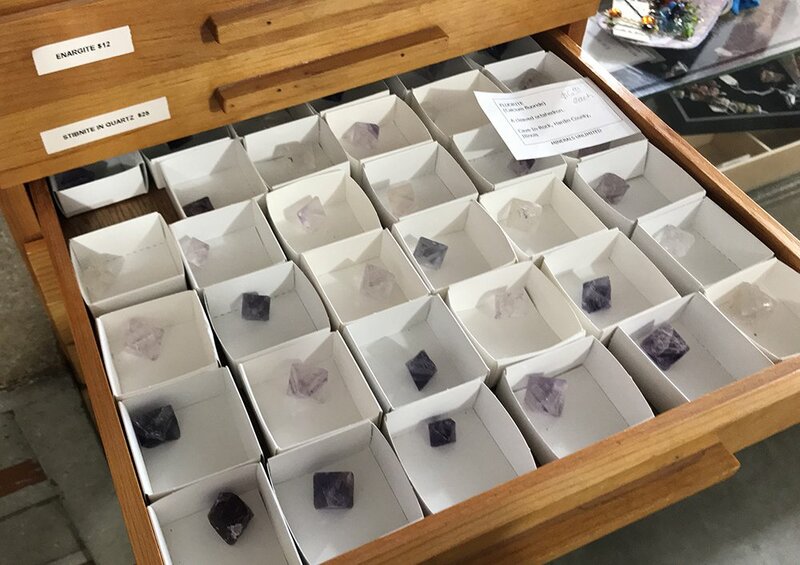 I pulled out a drawer at random and it produced a stunning display of violet fluorite with cleaved octahedron shapes. Stop in Ridgecrest whenever you’re in Southern California or traveling to nearby Death Valley. You may want one thing but you’ll carry out many more. She sells online, too, so check her website or give her a call. Make sure to phone before visiting in case she is out of town at a distant rock show. And if you want to buy an entire rock shop, not just a rock, talk to Wendi. Running the store has become tiring and Wendi is considering serious offers on her business. She has worked at Minerals Unlimited since she was eight, on the payroll from 16, the owner since 2003. During this decision making time, however, the store remains fully open and operating and there is no thought of closing. There is a tremendous inventory here, built up over decades with a great deal of material no longer available and unique to this shop. If you buy the store, you’ll have a head start on running it because everything is labeled! Ridgecrest is centrally located to the historic mining districts around Randsburg to the south and Ballarat to the east. Nearby Sequoia National Forest to the west offers great rockhounding, especially along Highway 178, and the eastern side of the Sierra Nevada mountain range is revealed by heading north on U.S. Route 395. Starting at Ridgecrest itself, guided tours organized by the Maturango Museum go out in spring and fall to visit Little Petroglyph Canyon. There, rock art images by the thousands were etched into canyon walls and boulders by native people long ago. Plan well ahead for this bucket list tour. Ridgecrest is a relatively small, quiet town, supported economically in large part by the Naval Air Station called China Lake. Its role is ongoing and vital, its decommissioning practically unthinkable, lending stability to this tranquil desert community. If you are near base at twilight, you may hear the lilting sound of “Retreat” over loudspeakers. This marks the lowering of the flag for the day. Cars on base stop and park for this short interlude. People get out of their cars and face the flag or the direction of the music. A unique shop. A unique town. 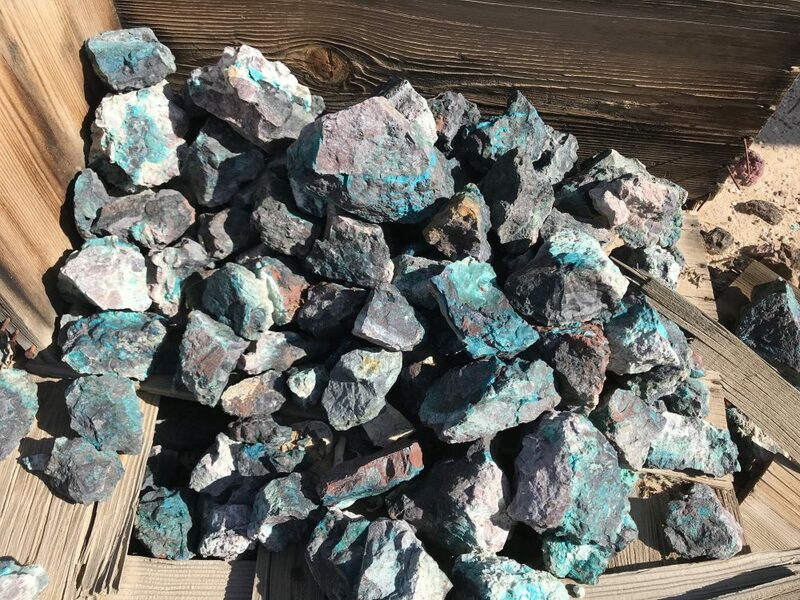 This entry was posted in rocks and lapidary, southwestrockhounding.com, Uncategorized and tagged Ballarat, China Lake NAS, jewelry, Maturango Museum, minerals, Minerals Unlimited, Randsburg, Ridgecrest California, rock shop, rock shop for sale, rocks, rough rock, Sequoia National Forest. Bookmark the permalink.